I appear to have samples mounting up (obviously you wouldn’t know anything about that sort of thing Serge) so maybe for the next few weeks we’ll do a few sessions consisting of assorted duets of different whiskies. And maybe a few malternatives as well for good measure. But today we’ll stick with Scottish and Japanese whiskies. 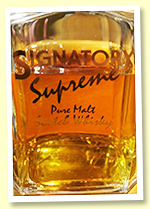 Signatory Supreme (43%, Signatory, vatted malt, 500 bottles, 1997) A funny decanter bottling released by Signatory in 1997 and containing 104 different aged single malts (read cask samples). Not sure if you’ll be able to see in the accompanying image but the mix contains such luminous names and vintages as Laphroaig 1966 and Clynelish 1965. Not too sure their voices will still be heard though... Colour: Straw. Nose: Light and yet with a very fragrant smokiness. Some earth, a little leaf mulch, some wax, some white stone fruits. Maybe a tad mineral. I’d say the better components of the mix are shining through. Although, looking over the whole list, there aren’t too many obvious duds. Thankfully there are more ‘Caol Ila 1974s’ than there are ‘Fettercairn 1980s’ so to speak. Having said that, there is a vague cardboard quality which may come from the fact it was bottled around 20 years ago into one of these very silly decanters with enough headroom for the creature that lives on Donald Trump’s head. Still, the nose remains globally surprising fresh, herbal, softly fruity and fairly elegant. Just a little shy I’d say. Mouth: Falls down quite a bit here. Tired, a bit acrid, some porridge. Maybe some glue mixed in with a little lamp oil, hessian and turmeric. Curious but in no way stellar. A slever of lemon rind. Some gravel perhaps? Finish: Kind of a cliff edge effect. Hello...? Comments: A curious and funny bottling. I’d be keen to try it from a freshly opened decanter and see if there is much difference. I suspect had it been bottled at full strength in a proper bottle it could be something quite tasting and fascinating. As things stand, from this example, it’s little more than anecdotal really. SGP: 443 - 71 points. Blended Malt 23 yo 1993/2017 (53.6%, The Thompson Brothers & Barman’s Choice, cask #17, 318 bottles) The component malts were all distilled in 1993 and then vatted into a sherry hogshead in 2000. Colour: Gold. Nose: Pretty much crushes the Signatory, as was to be expected. 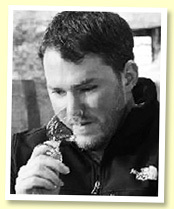 There is a lean and leafy sherry pervading the nose initially. Lots of crushed mint leaf, a few suggestions of wormwood, little herbal notes of bay leaf and thyme, also some notes of very fresh wild strawberries which is surprisingly pleasing. Also nicely earthy with some cigar box funk and little gravelly, mineral edge. With water: A little greener now. Green peppercorns, some grass, chopped parsley and crushed peanuts. Maybe a little mineral oil in the background. Mouth: Some soot, more earthiness, a little sage, mixed ground pepper, sunflower oil, trail mix. A good, even, fresh and clean sherried malt. With time quite a few different baked treats: warm croissant; brioche; malt loaf – amongst others. Although sadly it seems I gobbled all the strawberries with my nose. With water: some throat lozenges, raspberry jam (not quite fresh strawberries but it will do), damsons, sultanas and a brazil nut or three. Finish: Good length. Some buttery pastry with more earth, a few dried herbs, hazelnut spread and a little spicy kick in the tail along with some echoes of cherry tunes. Comments: A merry, clean and quaffable dram. Ideal if you enjoy a lighter, more effervescent sherry style and don’t want something too intense or complicated for easy dramming sessions with pals. SGP: 533 - 87 points. Myagikyo ‘Moscatel Wood Finish’ (46%, OB, 2017) One of a pair of Moscatel finishes from Nikka. Basically the standard distillery NAS release but with an extra year or so in Moscatel. Sold out rather quickly I gather. Colour: Gold. Nose: Leafy, earthy, resinous, there’s even a wee whiff of rancio about it. Then umami paste, plum sauce, dates, some star anise and cinnamon bark. Integration is good so far, the nose feels very elegantly composed. Some emergent aromas of fresh tangerine, elderflower jelly and even a little lychee and some spicy quince paste. Mouth: Soft spices and fruit compotes in a very even-handed equilibrium. Date chutney, coriander seed, malt extract, spice cakes, maybe a lick of tar and some five spice. The Moscatel is more evident with this stronger and dryer earthy profile on the palate. 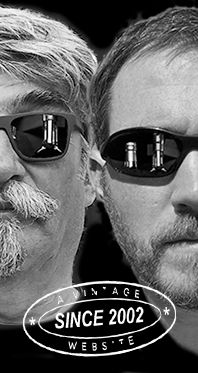 Some more aggressive peppery notes and a slight sootiness emerge. Orange bitters, dark chocolate and some fruit flapjack as well. Finish: Medium length with some earthy and big orangey notes. More dark fruit chutneys and assorted, simmering spice notes. Pleasantly warming. Comments: A decent whisky and a good example of finishing and of a younger Japanese malt whisky. But at around £120 a bottle I think it’s a bit rich for me. But then it’s sold out, so what do I know? SGP: 442 - 82 points. Yoichi ‘Moscatel Wood Finish’ (46%, OB, 2017) I usually prefer Yoichi anyway, let’s see if that remains true today... Colour: Gold. Nose: Rounder, oilier and perhaps a bit more obviously drying than the Miyagikyo. Notes of coal tar soap, rosehip tea, some aged medicine, lanolin, smoked paprika, some faint mineralic qualities and lightly smouldering notes such as bergamot and lapsang souchong. With time some caraway and couple of chunks of salted liquorice emerge along with a grating of nutmeg. More of these quince and elderflower notes as well – which maybe means it’s a quality derived from the Moscatel? There are green fruits in there as well which become quite forward and luscious with time. Mouth: bigger, fatter and more emphatic than the Miyagikyo. Lightly earthy peat smoke, green pepper, motor oil, camphor, freshly brewed tea, some pear drops and a touch of gentian. Also a pleasing waxiness gives a further sense of body and structure. The Moscatel is certainly more restrained in this one - but then that’s Yoichi for you: pure muscle when it wants to be. Finish: Good length full of leafy and earthy notes, green fruits, more soft, whispering smoky notes and a sachet of mulling spices. Comments: I still prefer Yoichi it seems. SGP: 445 - 86 points. Highland Park ‘Sheil’ (48.1%, OB, Keystone Series, 1200 bottles) Normally some of these silly Highland Park NAS bottles aren’t of much interest to me, but this one is composed of whisky made using 100% distillery floor malted barley. Which is often quite heavily peated so this should be quite interesting... Colour: Light gold. Nose: It’s true there is a peaty note but it’s more of an earthy, background style – like sticking your head in a still–warm kiln. Lots of malt bins, hay lofts, coal hearths and cow stables. With this kind of foamy heather ale note in the background which I seem to often encounter in modern HP. Goes on with a little lemon rind, various toasted seeds, brown bread and even a touch of eucalyptus. We won’t complain about any of that! More oily notes such as lamp oil with a touch of gravel and a pinch of salt. Mouth: There is peat here but overall it feels pretty young - I’d go as far as to say disappointingly so. There are some pleasing notes of bonfire smoke, BBQ sauce, some minerals, some soot, some camphor and a little glimmer of green fruit behind it all. But it also feels globally a little too sharp and disjointed. Some notes of aspirin, ink, wet newspaper and then some subtle spices such as turmeric and tamarind. Finish: A decent length but the smoke is quite distant now and there is still a slightly off-kilter sharpness about it. Comments: I really want to like this more than I do. You get the sense there is a very good whisky in there somewhere. But it’s more in a kind of chrysalis stage still. I would love to try these stocks either in a few more years or not vatted with younger casks. SGP: 355 - 79 points. Highland Park 25 yo 1976/2013 (46%, First Cask) The First Cask series was bottled for a company called Direct Wines by Signatory. Many excellent drams went under the radar on that label over the years and remain relatively unknown. I probably shouldn’t really be telling you though... Colour: Pale gold. Nose: Earth, the softest and wispiest of peat smoke, heather, honey and various fruits. This cask could almost have been selected by the HP marketing team. There is a wonderfully beguiling maltiness about the whole thing and natural sweetness that emerges as barley sugar and a kind of buttery popcorn note. With time some more medicinal aspects emerge, like wandering a hospital that’s closed down for a couple of weeks. Then greengages and fresh gooseberries. Mouth: Again this wonderfully elegant balance between soft, earthy and herbal peat, mixed with gentle background medical complexities. Utterly and unequivocally HP to me. Goes on with gorse, various dried herbs, hessian, some tar liqueur, olive oil, rosewater, chocolate limes and a few cinnamon sweets. With time some notes of smouldering hay, more heathery aspects and a distant Atlantic freshness. Finish: Long and undulating between natural barley sweetness, and earthy, farmy and medicinal aspects. Some drying phenols and waxy aspects trailing into the distance. Comments: A great old HP, I dread to think what these sorts of bottles costs members of the Direct Wines club back in the early 2000s. Anyway, it’s a delicious, exemplary and hugely satisfying example of well-aged Highland Park. SGP: 555 - 91 points. Springbank 21 yo 1995/2017 (45.8%, Copper Monument, sherry hogshead, cask #470) Copper Monument is a new bottling range from the good folks at Whisky Auctioneer in Perth. I’ve driven through Perth quite a few times but I’ve never seen this Copper Monument. Unless of course it alludes to something more ‘meta’... ;) Colour: Deep gold. Nose: A beautifully fragrant, minty and elegant sherry combined with a subtly oily and coastal peatiness. Wet rocks, sheep wool, hessian, paraffin wax, rapeseed oil and camphor. Then moving more towards fresh green fruits and white fruits. Lychee, a soft waxiness, dried rosemary, pipe tobacco, a lick of rancio, some salted almonds and a wee touch of mercurochrome. A wonderful and utterly Springbank nose. Mouth: The delivery is rather soft but there is still this clean and nervous and rather nutty sherry enveloping everything. It flirts with the idea of becoming too drying or tannic but instead veers off towards a saline, pancetta note with pork scratchings, coal dust, grape must and smoked cereals and grains. The texture is at first soft but gains traction with time and becomes nicely chewy and kind of oozingly flabby in the mouth. Again, this could really only be one distillery. Goes on with mirabelle eau de vie, lanolin, wet leaves and then seashore notes such as sandalwood and bonfire smoke. Even some lightly smoked fish bobs in the background. Finish: Long, earthy, nervous, resinous and even slightly flinty in its mineral structure. More of these kind of farmyard peat notes in balance with coastal zing. Which eventually becomes almost like the acidity of a good Gueuze beer. Really quite great. Comments: What’s to say? Great, mid-aged Springbank. Distilled just as the distillery was really hitting a great, latter-day era of production. SGP: 455 - 91 points. Springbank 30 yo 1967/1997 (52%, Blackadder, cask #1561) Judging from the clarity of my sample, this one hails from before the time Blackadder started grating bits of leftover BBQ into their bottles. (Or is that just another big human flesh-suit lizard conspiracy? Answers on a postcard.) Colour: Straw. Nose: Ahhh...the 60s in Campbeltown! Back when they were using direct coal fired Karaoke machines! But seriously, this is an avalanche of fresh green fruits with some support from topical siblings as well. Big, fat notes of papaya, melon, guava, banana, green apple and pineapple. Then some coastal breeziness with a saline preserved lemon note, a quick detour through the farmyard (by the cow sheds again, and maybe the sheep fank) then down to the sea front. A whole shoreline of beach pebbles, glistening minerality, wet sand, beach foam, sandalwood. Then a dive into far more tertiary arenas of camphor, various resins, ointments, coal hearths, inkwells, tool boxes and garages. Beautiful and quite emotional. Mouth: Gah! Another avalanche of fruits, minerals, waxes, a beehive, an ancient workshop, a different seashore, some dried seaweed, stacks of hessian and damp sackcloth, soot, tiny and delicate medical tinctures, some baked peaches, some almond oil, some eucalyptus and ancient chartreuse. It goes on but it’s probably best to call the anti-maltoporn brigade for a clean up. Finish: Long, luscious, gently drying, coastal; the epitome of elegance. Comments: Why don’t people really try to make whisky like this again? Seriously! At times it threatened fragility, but it always seemed to dart back from the brink, like it’s playing with you. Another beautiful and utterly compelling old Springbank. SGP: 653 - 93 points. Thanks to the Thompson siblings at Dornoch for most of this week's samples.